Vivametrica co-founder Dr. Matthew Smuck is one of four presenters at this year’s mHealth Connect held at Stanford University. Dr. Christy Lane will also be in attendance. Although the event is invite-only, the session “Consumer Wearables: The Path to Clinical Application” can be viewed via live streaming on Mar 17, 2016, 9:45am – 11:00am PST. Register for live stream here. As technology continues to enter into the medical space, more and more providers are recognizing the opportunity to improve patient care. Wearables are creating particular interest amongst clinicians who see applications in remote monitoring, and alternative drivers for behaviour change in prevention and/or management of chronic conditions. Fitness trackers currently have little value in the health setting. Research shows that data from existing fitness trackers shows disappointingly little or no distinction between many diseased populations and controls. This is even true for common mobility-limiting diseases such as knee osteoarthritis. By changing the focus from fitness tracking to physical performance monitoring, we developed methods that make physical activity data clinically relevant in orthopedics. 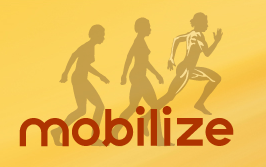 This led to new discoveries into the mechanisms linking physical activity to orthopedic disease, and established a platform for predictive clinical models using activity trackers. 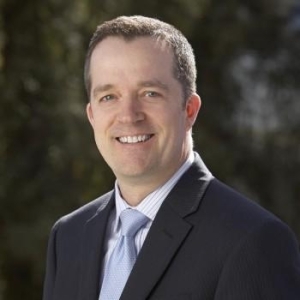 About the speaker: Matthew Smuck, MD is the Chief of Physical Medicine & Rehabilitation and Associate Professor of Orthopaedics at Stanford University. He is also an award-winning researcher who pioneered the new field of physical performance monitoring. He directs the Wearable Health Lab at Stanford, investigating medical applications of mobile technology to improve disease detection, treatment and prevention. Dr. Smuck regularly lectures on his research in the U.S. and abroad. He has received awards from numerous scientific societies and journals, including The Spine Journal’s 2013 Outstanding Paper Award, the American Academy of PM&R’s 2014 President’s Citation Award, and the Foundation for Physical Medicine and Rehabilitation’s 2015 PM&R Journal Best Original Research Award.